« Newflash: Pre-Goodyear Truck Championship and Festival – Hungaroring – 2016. 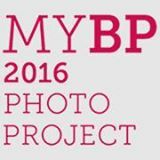 MyBudapest Photo Project photo exhibition – 2016. Exhibition opening: 6 p.m. – Entry is free of charge. Budapest Bike Maffia (Non-Governmental Organization (NGO) in cooperation with Cafe Art proudly presents the latest initiative to raise awareness on social problems. This time would like to draw attention to the problem of homelessness through art. The long-term aim of the goal is to raise awareness about the issue of homelessness, to empower people on the edge of the society and help their social reintegration. The challenge was simple … bought 100 pieces of disposable cameras with the help of FUJIFILM, and asked homeless people to capture Budapest the way they see it. The homeless sector individual’s shooted pictures of how they see Budapest. Budapest is one in the line inspired to this project just as … MyLondon … MySydney and now happening MyBudapest. More than 2000 photos were taken from which the best 50 pictures were chosen by a professional jury and this makes up the collection exhibited in Budapest Pont. Based on a public vote the best 12+1 photos will be printed as a calendar – My Budapest – 2017 and the winner artists will receive 20000HUF each and participants will be supported from the income of the sold calendars as well. The exhibition can be seen between August, 30 until September, 12. 2016.